I always knew that the very long running manga series by Monkey Punch and still running Japanese animation Lupin III was based on a series of French, turn of the century novels by Maurice Leblanc. But had no idea until recently that there are a lot of media incarnations outside of the Japanese anime TV series and movies. 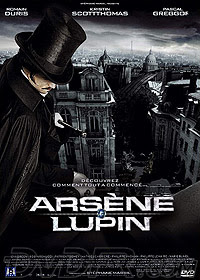 What piqued my curiosity about this fact was that I ran across a trailer for a French made movie called simply ARSENE LUPIN that came out in 2004. It's based on the original 1924 novel THE COUNTESS OF CAGLIOSTRO. Though taking place in the proper time period, it looks to have a bit of that BROTHERHOOD OF THE WOLF look to it, being filmed in a very "modern" style and using a lot of martial arts that seem to me to be anachronistic of the time. Ah well, it still looks pretty moody and fun. I have it but haven't had a chance to watch it yet. So this got me wondering about other versions, and upon searching around it looks like there's quite a few. Of live action, there seems to be about 20-something movies from several different countries, starting from 1907 to a new one that is an adaptation of the anime slated to come out in 2008. 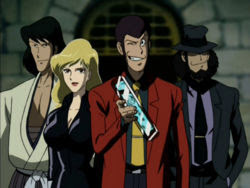 There was an earlier adaptation from the anime from 1974 called "Lupin III: Strange Psychokinetic Strategy" which is currently available on R1. Also in the 1930s was an American made movie that starred John Barrymore as Lupin and his brother Lionel as the Inspector. Two more American made Lupin movies came after the Barrymore one but I guess didn't do so well. 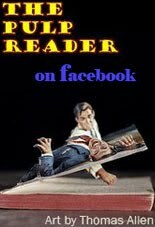 There's two (maybe more) live action series from France circa 1960-70. And a Canadian made cartoon called "Night Hood". The first episode of which, Lupin is confronted and bested by Sherlock Holmes. "Whaaat?" you might wonder. Well, as it happens in the original line of books by Leblanc, Lupin did indeed come up against Sherlock Holmes on several occasions. Though for copywrite reasons he is called "Herlock Sholmes" or "Hemlock Shears". 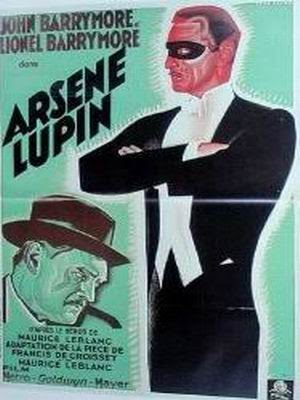 In this experiment we are going to take a listen to "The Extraordinary Adventures of Arsene Lupin, Gentleman-Burglar" which is a collection of Maurice Leblanc's first Lupin stories which were first serialized in the French magazine "Je Sais Tout" in 1905. The stories are witty and a lot of fun and it's easy to see where the charm of all the different media incarnations get their genesis.